At this moment in time, based on Football Outsiders odds and simulations the Vikings are in pretty lofty company when it comes to how the season could play out. The Vikings are only five games into the season, and all sorts of things can happen. All sorts of things, in fact, already have happened that threatened to wreck this year. 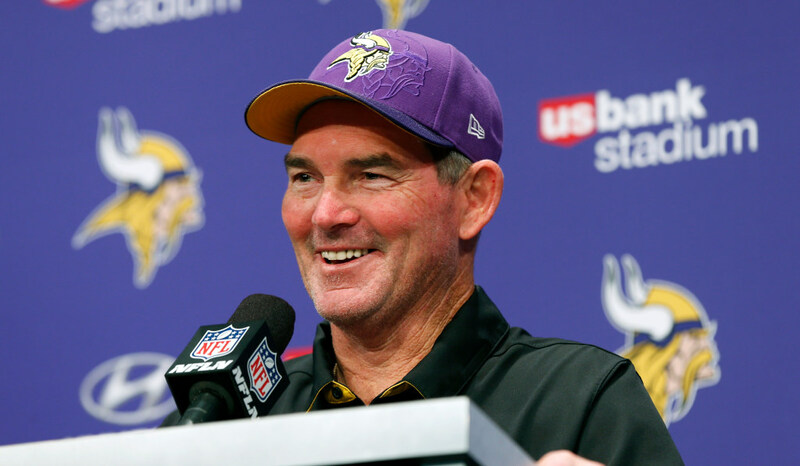 *Football Outsiders simulations have the Vikings slated for 12.1 victories this season — better than any other team in the NFL. They also have the Vikings with a 42.2 percent chance of getting the No. 1 overall seed in the NFC and also a 19.8 percent chance of getting the No. 2 seed. Add that up and it’s a 61 percent chance of having a first-round playoff bye. Overall, they have a 93.9 percent chance of making the playoffs, better than any other team in the league. *That gives the Vikings a whopping 52 percent chance of reaching the NFC title game. Think of that: at this moment it’s better than a coin flip, per Football Outsiders, that Minnesota will be one game away from the Super Bowl this season. Again, that’s best in the league. *But what you really care about is the Super Bowl. The Vikings check in with a 30.1 percent chance of reaching the Super Bowl and a 17.4 percent chance of winning the Super Bowl. Again, both are best in the league. So what I’m telling you is that in this moment in time, the Vikings have the clearest and most likely path of any team when it comes to making the playoffs, getting to the conference title game, reaching the Super Bowl and winning the Super Bowl. This does not matter if a ball bounces funny one day when it shouldn’t or someone irreplaceable gets hurt. But it does matter in that those things can happen to any team. All things being equal, taking into account the past, present and future, the Vikings are the team to beat right now according to Football Outsiders.